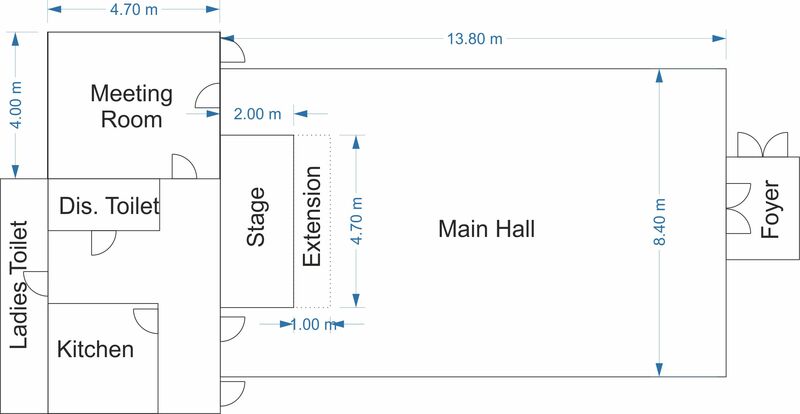 The layout of Clunie Hall is shown below. Alternatively you can download a PDF showing the same details. 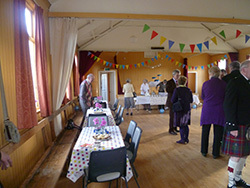 Hall rental includes use of the tables and chairs and the use of the kitchen facilities. 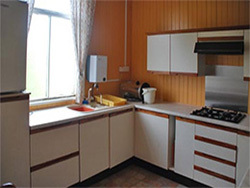 A list of our furniture and equipment can be found in our hall inventory PDF . Stage set up for Butterstone Music Night at Clunie Hall. Banquet tables set up for first Harvest Supper of the Clunie Supper Club. 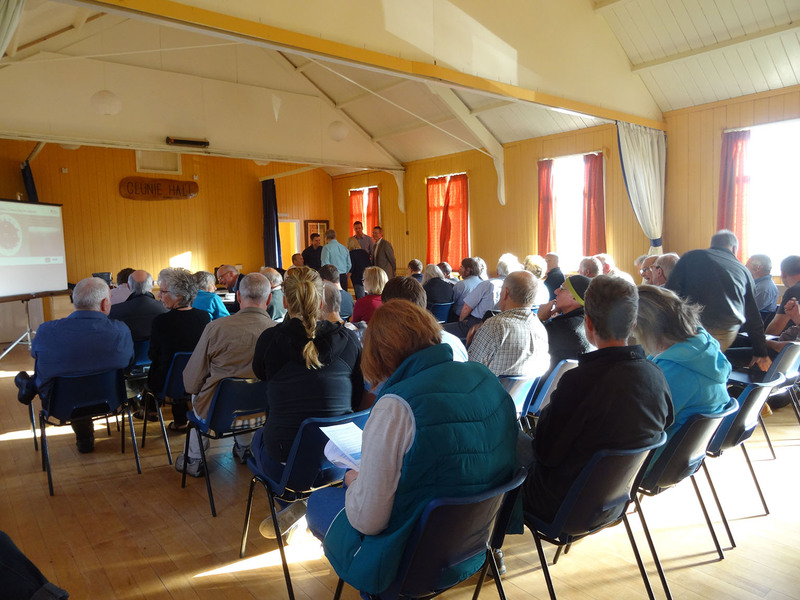 Hall set up for community meeting to improve broadband in Lunan Valley.